Browse: Home / 2017 / February / Research Summary: What Is Associated With Positive Outcomes For Children With Autism In A School-Based Intervention? What you need to know: Social phobia and age differences were the only child characteristics related to the level of change in cognitive ability in a school-based autism intervention. Responses to supportive therapies and interventions for children with autism vary. Some children make great progress while others seem to be barely affected by the intervention. Knowing which characteristics of a child are related to progress in different programs will enable more tailored matching of interventions and better outcomes. In this study, the researchers attempted to identify the factors that lead to improvements in a school-based intervention. The researchers recruited 152 students in 53 autism support classrooms (from kindergarten to grade 2) in a school district in Philadelphia, USA. The average age of students was 6 years old (range: 5-8) and ethnically diverse. The intervention (Strategies for Teaching based on Autism Research, or STAR) was a behaviourally-based method that was used in half of the classrooms. It targeted language, academic, social skills and functioning in daily school routines. At the beginning of the school year, adaptive behaviour and mental health symptoms were rated by parents, autism severity was rated by a school evaluator, and questions for autism-related behaviours were answered by the teacher. Cognitive ability was measured at the beginning and after one year of the intervention by school evaluators. The researchers found that, after the intervention, the change in cognitive ability was positive on average (6.29-point increase, SD = 11.23) with a range from -43-43. This wide range means that there were children who did not improve at all, and ones that benefited a lot from the program. 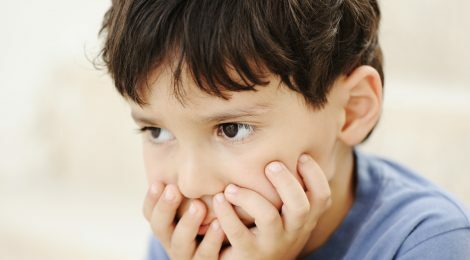 The child characteristics that were related to negative changes in cognitive ability were age and symptoms associated with social anxiety (social avoidance and fearfulness). Every point of increase in the social phobia scale (ranging from 48-108) was associated with a .15 decrease in the cognitive ability change, which is a clinically measureable amount. Similarly, for each increase in age by year, the change in cognitive ability decreased 2.35 points. Notably, autism severity was not associated with differences in outcome, meaning children with more severe symptoms will improve just as much as those with less. Social phobia is characterized by an intense and persistent fear of social situations with unfamiliar people. More research is needed to see if these symptoms are due to anxiety or a lack of social motivation in people with ASD. This will influence which treatments should be implemented – e.g. Cognitive Behavioural Therapy (CBT) for anxiety versus social engagement support for motivation. Further, the results show that effectiveness of the STAR intervention on cognitive ability in school age children is present but decreases as children age. Pellecchia (PhD) is a postdoctoral fellow and Xie (MSc) is a staff member at the Center for Mental Health Policy and Services Research at the University of Pennsylvania in Philadelphia, USA, where Professor Mandell (PhD) is the Director of the Center. Marcus (PhD) is an associate professor in the School of Social Policy and Practice at the University of Pennsylvania. Connell (PhD) is an associate professor and clinical director at the A.J. Drexel Autism Institute where Kerns (PhD) is an assistant professor in Philadelphia, USA. Pellecchia, M., Connell, J.E., Kerns, C.M., Xie, M., Marcus, S.C., Mandell, D.S. (2016) Child Characteristics Associated With Outcome For Children With Autism In A School-Based Behavioural Intervention. Autism 20:321-329.